The following is a guest post on green tips using environmentally friendly products that save you tons of money. Strolling down the eco-friendly aisle at your local big box retail establishment may leave you feeling like you have to be part of the 1% to afford a green lifestyle. Don’t despair. Being green and doing so on a budget is 100% doable. In fact, eco-consciousness and frugality go hand in hand. Frugal living is all about DIY. Do-it-yourselfers have hit on the idea that when you buy something useful straight off the shelf, most of the purchase price goes to cover production and distribution costs. Skip the endless line of middlemen and make that useful end-product yourself. Homemade products are the frugal guru’s best friend! Laundry detergent: High-efficiency (HE), A.K.A. low sudsing, laundry detergent from your local retailer can cost you $0.21 per load (based on an average retail price of $13.50 for a bottle that promises up to 64 loads of laundry). You can make your own laundry detergent with a bar of mild soap (grated) or two cups of soap flakes, a cup of washing soda and a cup of borax. Blending these three ingredients together creates a homemade laundry detergent that’s low-sudsing and safe for high efficiency washing machines. It costs about $2 for the bar of soap, $5 for a 55-ounce box of washing soda and $3 for a 76- ounce box of borax. 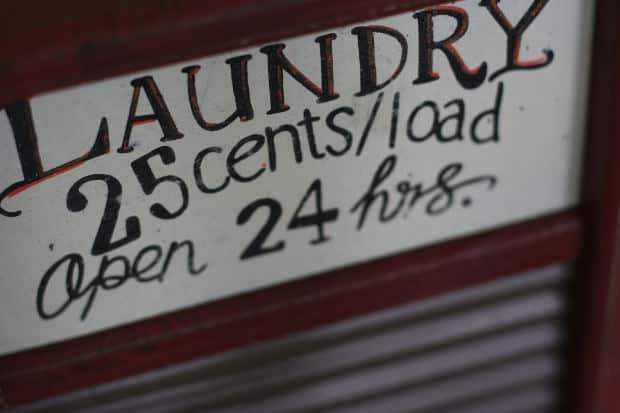 In the end your homemade laundry detergent costs $3.05 to make and yields up to 64 loads or $0.05 per load. Dishwashing detergent: Many liquid and powder automatic dishwasher detergents have joined the phosphate-free band wagon, so you don’t have to spend the extra couple bucks on the fancy eco- friendly stuff if you care about not polluting the waterways every time you run the dishwasher. But did you know that you can make your own phosphate-free dishwashing detergent for pennies on the dollar? The average brand-name automatic dishwashing detergent costs $6 for 24 loads, or $0.25 per load. Make it yourself and save! One cup of washing soda and one cup of borax form the bulk of your cleaning agent. Add half a cup of citric acid ($27 for a 5-lb. tub) and half a cup of coarse salt ($2 for a 3-lb. box). Use only one tablespoon per load, and you can get 48 loads of dishes clean for only $1.30, or $0.03 per load. A cleaner, greener home is easy to achieve, even when you’re on a budget. Just DIY! Kristina Ross is a freelancer and blogger for SaveOnEnergy.com. Green and thrifty is her mantra. She’s a firm believer that life is best spent in the garden. I have friends that are making this soap and have been wanting to try it for my HE machine but am concerned that it may or may not be safe for my machine. Does anyone know if the manufacturers of the machines are OK with this type of homemade soap?